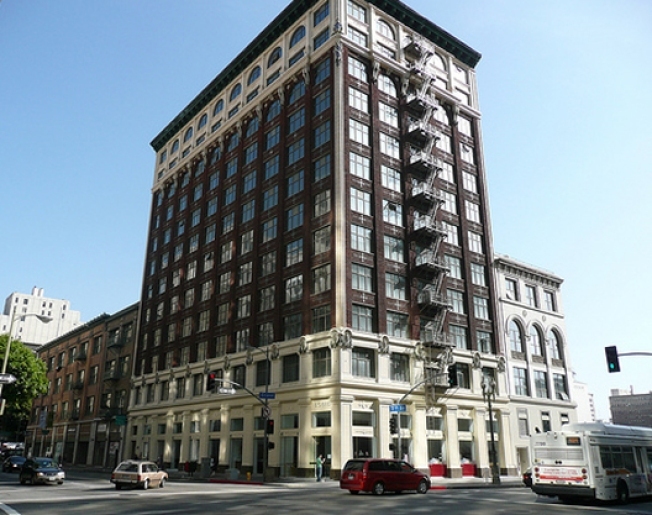 Tough times for this lovely 1921 Beaux Arts building: A filing in U.S. Bankruptcy Court, Central District Of California, shows that Brockman Building Lofts, LLC, filed for Chapter 7 protection today. The news isn't surprising because last week, Craig Rankin of Levene, Neale, Bender, Rankin & Brill L.L.P., who is representing the principals of West Millennium, warned that the Brockman building would file for bankruptcy if the banks didn't renegotiate the loan. You can download the filing here; it's case 1:09-bk-13713. Developer West Millennium, which was developing the project at 530 W. Seventh, has now filed Chapter 7 on more than 20 holdings. Meanwhile, Bottega Louie, the restaurant/cafe/deli in the ground floor, is supposed to have its official opening next Monday.